Players in: Stanislav Angelov (central midfielder, 32, Energie Cottbus), Iasmin Latovlevic (left back, 24, FC Timisoara), Cosmin Matei (central attacking midfielder, 19, Farul Constanta), Geraldo Alves (central defender, 30, AEK Athens), Yordan Todorov (right back, 29, Lokomotiv Plovdiv), Novak Martinovic (central defender, 25, Pandurii), Alexandru Pacurar (central midfielder, 29, Pandurii), Razvan Stanca (goalkeeper, 31, Pandurii), Florin Gardos (central defender, 22, Concordia Chiajna), Dorel Stoica (central defensive midfielder, 32, El Ettifaq), Mihai Radut (central attacking midfielder, 20, International Curtea de Arges), Octavian Abrudan (central midfielder, 26, FC Brasov). Players out: Arman Karamyan (forward, 31, released), Artiom Karamyan (left midfielder, 31, released), Petre Marin (left back, 37 , Unirea Urziceni), Zhivko Zhelev (central defender, 31, Inter Baku), Gora Tall (central defender, 25, APOP Kinyras – loan expired), Pepe Moreno (striker, 29, Independiente – loan expired), Pawel Golanski (right back, 28, released), Stelios Parpas (central defender, 25, AEL Limassol), Ovidiu Petre (central defensive midfielder, 28, Al Nasr), Alexandru Tudose (central defender, 23, Gloria Bistrita), Juan Toja (left midfielder, 25, Aris Salonic). 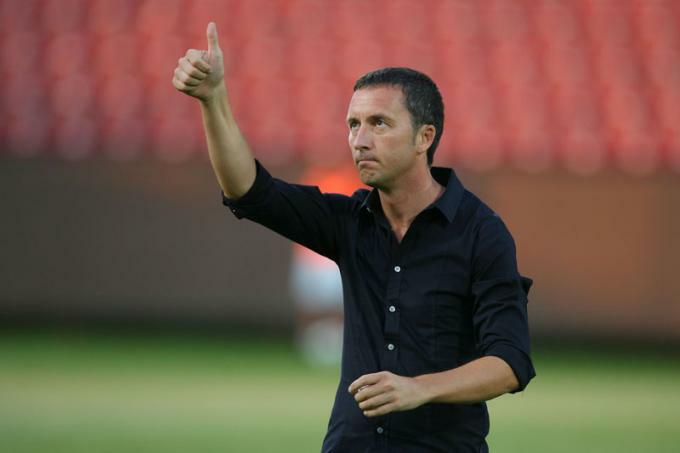 Massive changes in Ghencea, where Piturca wanted and had every reason to create a new team. 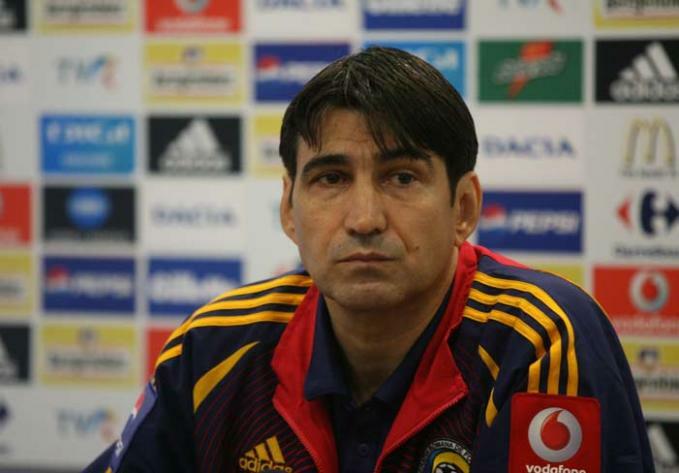 Among the rare important losses is Ovidiu Petre, but the manager had on the anchorman role his favorite player already lined-up, Dorel Stoica. For the rest, he went on to bring on a mixture of young & promising players like Radut and experienced guys like Angelov, which proves that his goal is building a new squad, without sacrificing this season’s trophies at stake. 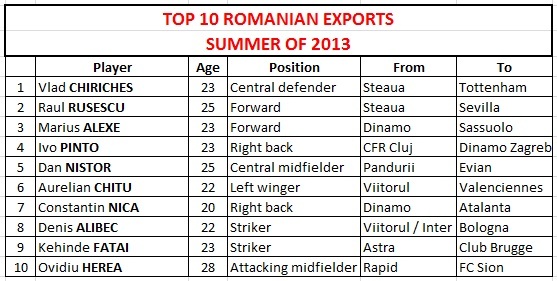 Interesting fact, Steaua relies on the same forwards from last year, even though Pantelis Kapetanos doesn’t seem to fit the lone striker’s profile preferred by Piturca, which means that Bogdan Stancu should enjoy the best season of his career and start fulfilling his potential. But what if he doesn’t or gets injured? Back to the Greek one more time? What does this guy has to do – this year, against all odds, got to play in the World Cup! – in order to start a season as the number one choice for the centre-forward role? Reliable subs: Stanca (goalkeeper), Pacurar (central midfielder), Szekely (right winger), Kapetanos (centre forward). 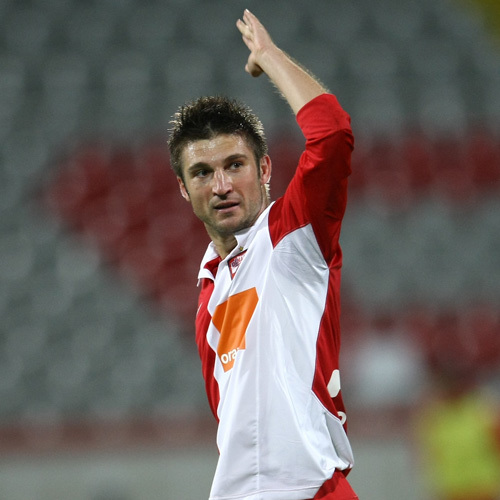 Key player: Dorel Stoica. Able to play in central defense, the 32 years old was convinced by Piturca to sign for Steaua, even when the manager wasn’t sure that he’ll return to Ghencea. Deployed in front of the back four, Stoica has the ability and the experience to protect not just the back four, but also the “front four”, as the line of midfielders will have to think how to open up the opposition’s defense, not be afraid that a missed pass or a miscontrolled ball could expose their own defense. In his own half, Stoica will win balls in the air, shut down channels, anticipate the midfielders looking to drop into space, but once Steaua regains possession, he will organize the build up, draw the back four as high as possible and eventually pose a threat with his long shots, especially from free kicks. Underrated player: Pantelis Kapetanos. The Greek isn’t a pleasure to watch, I agree, but he’s been a very prolific scorer even when Steaua was playing miserably – I wonder what he could do in a team that has superior possession and creative midfielders able to increase the number of scoring opportunities. His presence at the World Cup will keep him out of the team in the first month, but once “Kape” is fit, Stancu’s age and (unfulfilled) potential won’t be enough to keep him in the first eleven, ahead of this modest, hard-working and effective front man. Liability: Ciprian Tatarusanu. Promising, definitely gifted, looks to me like the kind of keeper that will need to turn 30 to be really something. But I might judge the guy a bit too hard and based mainly on last season’s performances, when Steaua’s defense was a joke. A serious title challenge from a club offered by its clown of an owner to a very ambitious manager, Victor Piturca, who changed absolutely everything at Steaua and now it’s only a matter of time until the results will show that this is the way to run a successfull team. It will be hard to win the title right away, mainly because the league changed a lot in recent years and this isn’t just an affair between the Bucharest sides, but the fact that all the other title contenders point towards Steaua when asked who’s the favorite proves that the name still weights enough to crush the clubs that only recently enjoyed the sweet taste of success.